EP 012: Dustin Mathews – Can One Great Presentation Make you Rich? Can One Great Presentation Make you Rich? In this episode of The Expat Money Show, I interview Dustin Mathews, and we dive deep on a fundamental question… Can One Great Presentation Make you Rich? We break down what a great presentation is, how you can craft a great presentation for yourself and why it is so fundamental to all aspects of business life. Dustin Mathews is the Author of No BS. Guide to Powerful Presentations and the founder of Speaking Empire a disruptive company in the leadership management space. Make sure to listen to the Complete Episode to have all 5-Steps explained in details by Dustin Mathews himself. We all dream of seeing the world, but the realities of living somewhere outside your place of birth can be daunting, to say the least. Welcome to the Expat Monet Show. Helping you make the most out of your overseas career through conversations with successful expats on investing, entrepreneurship, self-improvement and continual education, all while sharpening your financial acumen. Now, please welcome your host, with over 20 years of overseas experience, Mikkel Thorup. Welcome, welcome everyone. This is the Expat Money Show, and I’m so thrilled to have you guys with us here today. In a moment, I’m going to introduce you to someone who can dramatically transform your life and your business… if you let him… I know that’s a bit claim and that’s why I’m here to personally introduce him. That’s how important the information is that he has to share with you today. When you listen to today’s episode, you will truly appreciate why I asked my guest to be on the Expat Money Show. Simply put our featured guest transforms businesses and brands. Right out of School, he helped take a company from one million to 14 million and number 35 on Inc Magazine’s fastest growing private companies. His newest venture, Speaking Empire, is recognized as a disruptive company in the leadership training and education space. He is the mentor and coach of the world’s leading speakers, coaches, business owners and thought leaders, such as Shark Tank star Kevin Harrington, New York Times bestselling author Robert Allen, infomercial star Dean Graziosi and X Game host and actress Forbes Riley. His company was privileged to be involved with the Get Motivated Success tool, which included past presidents and world leaders such as Bill Clinton, Laura Bush, Ronald Reagan, Mikhail Gorbachev and sports stars like Michael Phelps, Joe Montana and business personalities like Steve Forbes, Steve Wozniak and Kendra Todd. I’ve asked my guest onto the show to speak about his newest book, the No BS Guide to Powerful Presentations. I know you guys are gonna get a heap of value from this. Please welcome Mr. Dustin Mathews! Dustin, why don’t you tell us a little bit about your background, how you got started and where you’re heading? Yeah, absolutely. Well, let me ask you this, have you read Rich Dad Poor Dad?. I know you’re a big education guy, Mikkel. Absolutely, and this is a classic book. Now I think about it because I have two young boys and I can’t wait to put this in the room and have them stumble upon it. My story starts off with me stumbling upon Rich Dad Poor Dad. I got real excited about real estate or so I thought. That prompted me to go down to a real estate investor club where people were buying and selling houses. To me, it sounded like what I imagine a stock exchange. It sounded like they were saying, I’ve got a four, three on block. They’re using all these real estate terms that I didn’t know of. I walked into this environment and fortunately for me, that concept of finding a mentor, finding Rich Dad stuck with me. What I did was I left that room because I was a little intimidated and I went out to the vendor area. For those of you who aren’t familiar with the vendor area, that’s where all the people that wanna sell you something hard. They wanna talk to you. All the people doing deals in the room, they don’t have time for the newbies. I went out there and I propositioned one of the, two other people actually. One of them took me up on it. It was a start-up company, just getting going. I said, “Listen, I’ll come work for free if you’ll show me how to do this real estate thing.” In my journey there, I discovered that real estate wasn’t my passion at all, it was marketing. I came across a book, in my journey there, another book by my mentor now Dan Kennedy. He told me about marketing. I implemented it and people started calling us and people started emailing in. I said, “Wow, this is amazing. We could put words on paper. We could put words into a podcast. We can put words into video and people will do things.” I’d never done anything like that. Ever since I discovered that, that we could get people to donate, we can start a movement. Yes, we can sell products and services. We can create change. That’s been my passion ever since is, really, how do we put words into stories, into action and to videos to get people to do things for good. That’s unbelievable. That’s amazing. You mentioned Dan Kennedy. I absolutely love Dan Kennedy and his work as well. I saw that you wrote a book with him actually. You co-authored the No BS Guide to Powerful Presentations. I read it cover to cover. I absolutely loved it. It’s actually one of the reasons that I followed up with you. Can you give us a little bit of your story on why you decided to write a book about this? Because I understand that you have a bit of an unusual start to presentations and public speaking. Yeah, that’s absolutely right. Well, first and foremost, Dan is one of the figures that had changed my life. He introduced me to marketing and it’s been my passion ever since. I said, “One day I’m gonna work with that guy.” I planted that seed over 10 years ago and it manifested. I did work with him many, many times. Then I had the opportunity to write this book. The reason why this book on presentations was, I initially, I was completely, completely afraid to get up and speak in front of others. Even a webinar, a podcast and even worse was getting up in front of a room full of people. I said, “You know what, I can take this class another time.” I signed up, I have to take this class in order to graduate so I signed up again thinking, “I’m gonna find a virtual class or maybe a small class with maybe 10 or 12 people in it.” I signed up for the class again and I find myself in that same part of campus and the same building and yes, it’s the same set-up. It’s the 300 stadium there and it’s the same spiel. Now Mikkel, I’d love to tell you in that moment, I conquered my fear, I personally developed in that moment. I didn’t, I actually retreated yet again. I think what’s funny is, in life we’re presented with opportunities to grow, to learn, to make a difference. In that moment, I decided that I was gonna go find a loophole. I started interviewing teachers and students and student aids. I even read the student handbook in that university. No one reads the student handbook, it’s just there. I’m gonna say I came across a loophole that had said if I had done something in high school, I could get a teacher to write me a note. I had fortunately done this thing, chasing a girl, who was called model of the United Nations. I was actually speaking I front of others which it blows my mind. I must’ve been so blinded by the chase of the girl that I didn’t realize what I was doing. Naturally, I got the teacher to write me a note. I tell you that story and tell it that detailed because I know that most people would rather die according to the statistics than actually get up in front of others and speak. I was the same way, it’s not like I was born with a microphone in my mouth. I know a lot of people start that way at least initially or have butterflies or have that feeling. What flipped for me was once I did it, I saw what profound affect it had on me personally, but also for my business. Once I got that taste of it I said, “You know what, even though I have this crazy fear of doing this thing, it’s so powerful.” If you look at Oprah, if you look at Steve Jobs, if you look at Richard Branson, some of the biggest names celebrities in the world. They all speak or deliver a message on a platform in some form or fashion. That’s unbelievable. You were actually scared, you’re actually terrified of getting up on stage, of doing public speaking. Now you run a business as an entrepreneur called Speaking Empire. That’s unbelievable. Absolutely. What’s funny is, I used to hate writing. I remember being up late at night. My parents were trying to help me but it just seemed like the worse thing ever. I just struggled with English, I was more of a math and science guy, techy. I became a copywriter. I think again, there’s opportunities in life for all of us to either run from something and sometimes like I did, I ran from it and ran from it and ran from it. Eventually I was backed against a wall and I couldn’t escape it. That’s where you’re so afraid of riding a rollercoaster, remember growing up when you’re so afraid of riding a rollercoaster. Then you go on it and you’re like, “Wow, this isn’t as bad as I thought.” That’s what I wanna share with others is that, it can change a business, it can change a movement or a nonprofit, whatever your world is. Nowadays more than ever, there’s tool and technology forcing us to be in front and in the spotlight. Wonderful. I’m gonna have to get really detailed here. Because when I read your book, there was one quote in here that really struck out at me. It says, “One presentation can make you rich.” My question Dustin, is that true? Absolutely. Let me explain. What I mean by rich, by saying that is, this isn’t get rich but this is about building wealth and this is the Expat Money Show. One of the things to consider is that everything in life is a presentation. What I mean by that is, if you’re trying to raise money, if you’re trying to make an impression in front of clients, how you appear, how you show up, whether you’re in a suit or a not says something about you. People judge a book by its cover. It’s my belief that everything in life is a presentation. Now, it doesn’t mean you always use slides and it doesn’t mean you’re always in front of people, maybe virtual. If you think about it, everything is a presentation. Especially if you’re trying to do something in this world. Raise money, make money, grow a movement. Everything is telling about you or your company or your movement or whatever it is that you do. The challenge is, most people never think of this. Most people that at least I’ve met with, they say, “I’m gonna let the content speak for itself.” Absolutely, you should have great content and you should be of sound mind and you should gave great ethics and all of that. However, you may have the cure to cancer, but if you can’t get people excited about it initially, because then virally it could take over. Initially, if you can’t get people to buy into it, it will never get off the ground. You may have the best invention, you may have the best governmental, political thing here for people to consider to make their lives better. Yet if you can’t sell people on the idea then you can’t get rich. When I say rich, yes, it’s make money. Also it can be in all different areas of life. An example that I love to use is Trump. Whether or not you like him, his rise to power was essentially the use of presentations. He understands how to present ideas to the media. He understands how to get people riled up for his own cause. He took a pay cut to become president. However, this is gonna make him richer and more powerful than ever before. Absolutely, it’s a platform for him to speak on. I totally understand what you mean on that one. Absolutely. I wanna throw this one in here Mikkel, too. Because some people aren’t such fans of Trump. I’ll use somebody else very favourable, is Warren Buffett. I read an article recently where Warren Buffett, this great investor, truly a guy that understands money and business. He credits his billion dollar empire to one decision and that was the idea that he went and learned how to publicly speak. The reason why this was so powerful was he understood that once he understood how to communicate a message, whether you do it in front of other, whether you do it on the phone, in front of investors, whether you do it in an annual report. You have to understand how to present ideas to get people into action. You make a lot of similarities between public speaking and copywriting, then? Absolutely. It’s just the smoking word of you think about them. I think copywriters have it easier. Because they essentially just put the words on the paper and oftentimes they hand it to a client and the client puts it in a direct mail piece or in a Facebook ad. A presenter actually has to take the same work, but then has to use nuance. If they’re in front of people, body language. They have to mess with their tone, go up and down. There’s something more powerful to presenting a message live and we can point back to history and all the great talks and presentations from world leaders, they demonstrate that. That’s really interesting. I also remember in the book you were talking about choreographing, is that what you’re talking about here? Yeah, absolutely. Choreographing, really if you look at plays, if you go to Blue Man Group or your favorite performance, these folks, the actors, the actresses or the performers, they practice and practice and practice. Even the lighting people, they practice and practice and practice. They choreograph the whole thing to make sure the performance is the same way every single time to get an end desired result, which is an amazing show for us. Again, most people never really give thought to, should I practice? Or, what should I wear? Or, what part of the stage should I stand on? Or, should I have someone introduced to me? All of this matters if you are trying to motivate, inspire or get people to do something. What I found in the sales world, if you’re trying to increase sales, which I find a lot of businesses are. What they do is, they just do the performance and they don’t consider what needs to happen before the message is delivered and what needs to happen afterwards. How does Speaking Empire, and how does the book translate to helping people? What are some of the things that you do and help them? I have a five-part process that we unpack in the book. I’m happy to give a little preview. Do we have enough time to do that Mikkel? Yeah, absolutely. I’m really interested to hear, so please go ahead. I’m actually gonna take a step back. Two things to consider when it comes to choreography and just being more influential. Whether you’re selling something or not, this is about influence. There’s two things, the message itself that you’re actually deliver, whatever media you deliver it in. Then also the preamble and then the follow-up. I’m gonna talk about the message, I’m gonna give you a five part formula here that we discussed in the book. Then also, we’ll talk about the marketing, the preamble and then the follow through. There are really five crucial parts to any presentation. Actually, you actually already do these five, you just might not know them. Real quick, they are intro, story, offer, body and close. Now, I’ll unpack those and I’ll give you an example of each one. In an intro, I take a step back, I think about the most successful people in society. I think of the influencer. You put the president, the queen of England, you put athletes, you put celebrities, you put royalty up there. Whenever these folks are in public, they are always properly introduced. If you think about your favorite basketball game, they shut the lights off in the dome of the stadium and they play the music and the smoke goes off and they introduce the players. When the queen of England comes out, it’s never just her, there’s always the royalty that precedes her, the court. When it’s the president, he’s always properly introduced. When it’s a singer, there’s always a warm-up act. When you think about it, if you wanna influence, you’ll consider having somebody or something introduce you. Mikkel, you did it, but you had to do it because it’s a podcast and the media requires that. If you were speaking on a stage, some people would just start speaking. What I would say is, if you wanna have influence, have somebody that the people know in the audience or have something such as an introduction video. What you’re really talking about is pre-framing the person or pre-framing yourself to have the audience in a certain mindset when they hear your message. Is that right? That’s exactly right. You know what, it just popped in my head Mikkel, there was an article that I read about people on vacations. They actually found that people get more satisfaction according to this article in prepping and thinking about their vacation than actually being on the vacation. Something to look forward to. In that same sense, if you have a person introducing you or a video exciting the imagination or getting people pumped up to hear your message in it, it doesn’t have to be motivational, it can be sales reports, you could be in a boardroom. If you’re able to do that, you can get people excited to want to hear what you have to say. That’s the intro. Now, what was step number two? What was phase number two? Well, after you get people excited about the actual content and you open up your presentation, again, this can be a Facebook live, this could be a podcast. Then what you wanna do is tell some story. In the same way of this, if we take a look at the structure of this interview here, one of the things that we moved into was my story, so that makes you relatable to the audience. When you do a story, we could probably spend a couple of interviews on just story alone. The big thing when it comes to selling and getting people into action, is you wanna tell a story of transformation. It could be your own personal story before I understood how money worked. I was broke and this but now I get to travel the world and I’m a master of money. It could be an example. That’s great if you’re on a personal development or entrepreneurial environment, but what about the boardroom? They would laugh you out of a boardroom with something like that. Then you would tell the story of what things look like, whether it’s the department, whether it’s the marketplace. Then what it could look like with your idea, your invention that you’re about to present. Everyone loves to see transformation. I mean, it’s what Hollywood is built on, it’s what movies are built on. They wanna see some sort of transformation take place and a character or a series of characters. It’s your job to tell the story about yourself or the story if you’re more in a corporate or movement sort of the story of the enterprise or the department. What would you do to give someone a tip on how to craft this story, how to craft a powerful message in the story aspect? Well, the easiest thing, a lot of people are so visual nowadays. What I say, the easiest thing for people to do is take a look. If they’re gonna tell a personal story, take a look back through your photos. What I like to do is just think about, if were story boarding something, which is just basically looking for photos and putting them up on a board to communicate a story. I would wanna look at low points in your life. I would wanna look at high points in your life and I would just put this collage out there to start the process of considering your story. Now, we’ve all been around for some length of time so we could board people with our stories. It’s important to look for the lows and the highs, back to transformation. People wanna understand that listen, I wasn’t born this way. I actually had adversity. I had a bunch of failures and I was able to achieve success by banging my head up against the wall and now look at life, it’s so great. The easiest part for most people is to look at pictures, start there and start to piece together the lows and the highs. That’s really interesting. My first instinct when crafting a story would always be to look at the end in mind. Something that I wanted to teach or something that I wanted to highlight. Do you ever do that or do always start at the beginning and just look at your life and then figure out what messages you can craft from that? The easiest thing to get up and going is take a look at those pictures. Now, once you already have that level of understanding, then what you wanna do is now say, “Does this further the sale?” You take a look and you’re telling a story about how in third grade this teacher scolded you and now you hate going to school. Well, if we’re not telling something relevant to that, then we probably aren’t gonna tell that story. It’s important to think about the ultimate, like you said, Mikkel, which is the end in mind. Does this story further the cause or further the sale? That makes perfect sense. We have the intro, we have the story. What’s phase three, Dustin? We need to get into the offer. Now, this is a little bit of a misnomer here and I want you to pay extra close attention. An offer doesn’t mean, “Hey, I’ve got these watches to sell you.” Or, “Hey, come buy my thing.” It’s not that, it’s not about being pushy or forward. It’s basically letting the audience know that you have something of value to share. Now, it may be a product or service that you have. It may be an idea. It may be your charity, what the work is doing. Before you can let people know about your offer, you have to educate them. Really what I mean is build value. You have to bring to their awareness, you have to let them know that There’s a problem that exist in the marketplace and then provide your solution, which is why you’re there in the first place, to talk about a solution. If you go right into the solution and you don’t give people an appreciation of the knowing-ness or what’s happening out there in the world, then they don’t really fully and truly understand then. The best way as a tip is to find statistics from media that say, “There are challenges in the workplace, there are challenges in the world.” Cite those statistics and make people aware of it and then talk about what your solution is. What you’re saying is, highlight those pain points and make sure you touch on those before you ever provide the solution. Exactly. I’ll make it crystal clear. If you’re a male, you’ll appreciate this and if you’re a female, you’ll understand this as well. What I mean by that is if I said, listen, for men over 35 years that live internationally that are interested in finance. I want you to pay extra close attention. Because what we’ve discovered is that if men don’t go and get checked up, this type of man doesn’t go and get checked up, they’re likely to have some sort of complication later in life. Now, Mikkel, his ears perked up because I’m describing him without saying his name. Now his heartbeat is a little bit faster because he’s like, “Wow, that’s me.” Again, if you’re a woman and I said the same thing, your heart would beat faster. Again, you got to turn up that pain by just educating and bringing value. Not in a manipulative way, but just letting people know what the state of the union is or state of the market or challenges that they face and then talk about your solution. It will have a much more profound effect for you. That’s excellent, that makes perfect sense to me. Step number four. I got my notes going here Dustin, so I’m writing this down as we go. Step number four. Step number four is the body. Now, some people call this the meat, the actual core of the presentation, I say everything is value in a presentation. Here is where you wanna consider whatever it is that you’re educating on or building value for, making the case if you think of yourself as an attorney or a lawyer. If you were making the case, what you would wanna do is boil it down into three or to five, gosh, no more than seven points. Unless you’re in some really long type of presentation. What I mean by that is you wanna take whatever it is that you’re working on in the world and condense it. Remember, they’re not experts like you. They haven’t been doing the research or they’re not making those sales calls. They’re not spending the time that you’re spending to refine your craft. You’ve got to really condense it and make it easy for people to understand. Often, what I tell people to do is to take whatever it is that you have and tell them three to five steps to accomplishing some sort of result or a success. Let me give you a crystal clear example here. Let’s say we’re doing weight loss. Because at some point in life I think this hits home for most people. If I were a personal trainer and I had to teach you how to lose weight. I would say, “Come up with five steps.” Mikkel, as an example, drink more water. Have you heard of that one before? Drink more water. Number two is get a smaller plate. Have you heard of that? Nothing new there. This is where it’s gonna get interesting. Number three, I’m making one up here. Before you put the fork in your mouth, look at the food before you do it. Mikkel, have you heard of that one? That one I don’t know, actually. Did you just make that up? I just made it up. I did. I’m sure that probably exist out there, because there’s no shortage of weight loss solutions out there. Nonetheless, you drink more water, find a smaller plate, look at the food twice before you eat it and four and five. It’s gonna get bad if I try to come up with four or five. As you can tell, I’m not a weight loss coach here or a personal trainer. I would come up with these five steps. Mikkel is sitting there and you’re thinking, “I’ve heard that, drink water and the smaller plate and I tried that thing. I don’t know.” Now you’re starting to invalidate because that’s what humans do. We listen to something and we’re trying to plug it in, does this serve me? Have I heard this before? Or how do I invalidate this? Because it’s not important to me. That’s what happens. What you have to do is you have to, if those are your steps, you have to come up with a new way to present that information. Really this is a marketing thing. What I would say is, let’s call it something, if I were to come up with a name right now, I would call it the Matthews Method for Rapid Weight Loss. Now, I’ve got these five steps. I branded it something and now it’s more believable. Now, it would be better if we called it like the benefit driven, the instant weight loss formula. Six pack abs or something like that. Exactly. For anyone listening in and saying, “I’m not a wordsmith.” I completely understand, just call it like the Matthews Method. Your last name or formula or process. Of you look at Intel Inside, or powered by this. This is the science. If you look at an infomercial, there’s always some weird science or some space aged polymer or some secret sauce that people wanna hear about or know about. Again, what I would offer up is come up with three to five, you could go seven if you need to, points that are part of your belief or your methodology. In between each one of those points Mikkel, what I would say, I want you to put a case study, a quote, a testimonial or some sort of proved element. Let me break this down. If I said drink more water to you, you may say, “I tried that, I actually gained weight because I drank so much water.” You’re sitting there in the audience or you’re sitting there on a podcast and you’re saying, “I don’t know about this. I’m invalidating this guy. I don’t know.” If I share a story and I say, listen, I went to a conference, I met a couple of people. I challenged them with the same idea, they were all men over 30. I went to this conference and I met one, his name was John and he was skeptical. John was interested in what I had to say but he just wasn’t buying into it. What I told him to do is I said, listen, I’ve got these five steps. All I want you to do is drink more water and drink this kind of water and drink it at this time of day. He did it reluctantly and I checked back with him in seven days and he dropped three kilos. Now, by me sharing that, you may believe it, you may not believe it. If I do that three or four or five times, you may say, “Well, maybe I didn’t do it right. Maybe I didn’t drink water at the right time of day. Maybe it wasn’t the best water supply that I was drinking from.” When you do that, you actually further your cause, further the sale. Again, come up with three to five points and make sure to have some sort of proof element or testimonial or case study in there. That gets people excited about it and that furthers your cause. That makes perfect sense. Also what I noticed when you were saying is, for the beginning couple of points, you wanna make something relatable that someone will know. That when you put something in there, maybe points three or four or five that are a little bit left of center, that it relates to the originals and gives them credibility. Absolutely. Dan, who co-wrote the book with me, he calls this sequential agreement. It’s essentially like getting married. Before you get married, there are a number, a lot of things that need to happen before that takes place. You have to meet the girl and you have to get the phone number then you have to set up the date and on and on. There are agreements that have to occur before one gets married. In that same way, there are nods, there are mental yeses that people need to say before they accept the final thing. Whether that’s your product or service or whether that is making a donation or whatever it is that you want them to do, they need to say yes many times mentally before they say yes to the big thing at the end. Makes perfect sense. That’s number four, what’s number five on the Dustin Matthews list? That’s right, so that’s perfect. It segues right into the close. When you’ve done this and you’ve built value, you’ve educated the audience, you’ve built rapport, you’ve approved your case, you’ve given great examples. Naturally you move into the close. Now, if you’re selling something, a lot of people get scared here, they change, they feel uneasy. The reason why is they don’t disclose right away what their intent is and so there’s like this pressure. If you’ve been to a seminar, you may have seen this or a webinar. People are not stupid, they understand how this works. When you get a ticket to come to a free steak to hear a financial planner, you know at the end he’s trying to get business. You ought not fight that and you ought not try to hide the elephant that’s in the room. The trick here is don’t wait to the very end to close. Again, what I mean by close is get a yes or do a call to action. It doesn’t have to be an actual sale. You wanna let people know right at the very beginning what your intent is. I’m gonna share some rather impactful information that can benefit you no matter if we work together or not, would that be okay with you? If you let that be known in the very beginning and you get agreement all throughout the presentation, then the close becomes a whole heck of a lot easier. Oftentimes, what I’ll just ask is I’ll say, listen, I’ve shared a lot of great information with you, how many of you or would you like me to share how I think I can take you to the next level or a proven plan that is helping people all around the world get results. Naturally, if you’ve done everything I said correctly, built rapport. Actually people are gonna say yes mentally. Even if they’re skeptical, they’re just gonna nod their head and they’re gonna hear what you have to say. When you go on to the close, what’s important is you just wanna tell people what to do. Just tell them what the offer is. You know, hey, we’ve got this form in the back and if you’re interested, it would be great if you fill it out. You just tell people, say listen, we’re here, we’re raising money for this charity. Every donation counts. When you donate something, you’re also gonna get this T-shirt. Again, I know that may have sound a little hype here a little crass there. You wanna incentivize people for taking action there in that moment. You wanna tell them exactly what they need to do. By getting that yes at the beginning of the presentation, it also is going to line people up before the yes at the end. If you get a permission from them that you can pitch them at the end of the presentation. Then it probably gonna make your job a lot easier I would imagine. Because if you’ve never sat in an environment and witness this in a live environment, you can feel it. I can’t explain it, it’s like energy. You can feel the resistance build if someone doesn’t let the audience, the speaker doesn’t let the audience know what their intention is. The whole time you may see a couple of people that are cross armed, because they’re like, “He’s gonna sell me something. She’s gonna sell me something.” They’re just waiting for it. You can’t fight that resistance. You can’t let that elephant just ride. You got to get it out of the way. Some people will still have that resistance like, “He’s just here to sell me something.” Great, you actually build rapport with him by letting them know that. They’re like, “Well, at least he was upfront about it.” That doesn’t mean they’re all gonna buy but at least you have the odds working in your favor for getting people to take that action you want them to take. Then I suppose also, they’re not gonna spend the entire time trying to guess what you’re going to pitch them. If you tell them at the beginning, I’m going to help you take things to the next level, this is what I’m gonna do. Then give the presentation, give value. I think it will just make your job a lot easier, it’s so wonderful. Especially if you’re in the long game. If you’re in the short term game and you’re just trying to close as many people as people. If you’re coming with that energy and that feeling, it’s gonna be hard, there’s gonna be that pressure. What I found is, if you love what you do and you’re trying to build something long-term, that yes you may not close in that moment but long-term you’re gonna build your brand, they’re gonna see you multiple times which is usually what happens, they’ve seen you online, they hear a podcast and they see you live or they come to your retail store. You’re getting all those touch-points, then eventually they’re gonna buy. Awesome, sounds amazing. Dustin, I wanna change gears a little bit. I wanna hear some of the examples of other people that your worked with. Maybe some of the people that you’ve helped with Speaking Empire. There’s a couple. I got a couple of examples from all different walks. I know people listening in to the show come from all different parts of the world and all different walks of life. The first one I think of is, I think everyone can at least relate or have seen once in their life and that’s an infomercial. One of the examples that Kennedy talks about in the book is Proactive. Essentially, Proactive is this face acne cream, if you wanna call it that and they’re big here in the United States. They recently sold for over a billion dollars here, so big, big, big business here. Selling healthcare products. They grew extremely fast by putting together a presentation and putting it on TV. Through an infomercial, they were able to sell a bunch of this product in an amazing valuation, generate a ton of revenue and eventually sell to a bigger company. That’s one of the examples from the book. My world into the infomercials was working with Shark Tank here in the US. One of the original Sharks Kevin Harrington. What’s unique about him is, he shared with me that TV us just a presentation. You do a couple of things a little bit different. Every media has nuances, but at the end of the day, if you use the five step point I’m talking about, 80% will take you incredibly far. It’s the 20% that you wanna tweak if you’re doing direct mail or if you’re doing a Facebook ad or doing a Facebook live. The core foundation remains the same. Kevin shared that with me. We helped him put together like a Shark Tank brand, an offshore Shark Tank brand for him and launch a seminar business where everybody that couldn’t make it onto the show of Shark Tank but had an invention or had an idea that they wanted to develop further. We invited them to come see him speak. Now, he didn’t speak at the boot camp the whole entire time. We engineered it in a way where all he had to do is come in, do a couple of keynotes and he had his team there to deliver presentations that helped him start and launch his seminar business and find new inventions. That’s an example of how, here’s a guy that has an amazing background, billions of sales through one presentation. Didn’t understand that it was transferable to a room. Didn’t understand the 20% of the nuances and was able to go out and generate revenue very quickly understanding this framework. That’s unbelievable, I need to check this out. That sounds really exciting. Well, listen Mikkel, I know not everyone is doing infomercial like Dustin. That’s a great story, but how do I relate? Let me talk professional services here. If you’re a lawyer, an attorney, if you’re a dentist, if you’re a chiropractor, I want you to pay anyone in professional services, so I want you to pay extra close attention. I think of a Dr. Jeremiah Joseph. Now, I’m in St. Petersburg, which is Tampa, Florida. He’s just to the south of us an hour and a half. He’s in like a sleepy retirement community and he’s a chiropractor. Chiropractors, traditionally, they’ve been pummeled with marketing ideas. Because originally, chiropractic here in the United States wasn’t widely accepted and so they’ve had to market their services. One of the ways they’ve done that is with lunch and learns. Dr. Jeremiah Joseph, he said, “Hey listen, I’m doing lunch and learns, but I’m not converting how I want to.” We said, “Okay, let’s take a look at the whole thing.” We looked at his messaging using that five set format that I shared. We also looked at the choreography, what is the messaging going out before people actually turn up to the event, what’s happening in the follow-up. What we did is we came up with this idea where we would have people come to the lunch and learn. Rather than try to sell them, “Hey, come sign up for a service.” Or sell them a package, we invited them to come to his office. It was a two-step process to build massive rapport. He went from closing around 40 to 50% upwards of 80%. Imagine this, you have 100 people in a room, we had 80% of those people. 80 people signed up in a room of 100. 80 people signed up to come to the next step, which is to come to his office. From that point of view, that increases revenue by actually taking and slowing down the sales process and actually increased the amount of patients that he could bring on. Again, doctors are not the best sales people in the world. Using this process and building rapport and using this framework, he was able to achieve some rather great results in his industry. Moving away from the hard sell and look at more of building a relationship with someone and playing the long game like you mentioned earlier in the interview. That’s the thing, is every environment is different. Yes, you may see an infomercial and say, “Uh.” Throw your arms up, how cheesy. Or you may see a car salesperson and say, “Uh. I can be that guy.” I’m not saying that you should be that guy. Every environment is different and you wanna take a look at the environment. Which is why choreography is the message you should be walking away with here. Yes, it’s important to understand how to be persuasive, but you actually wanna tailor that message to every audience as much as you can, every audience that is out there as much as you can customize it. When I was reading the No BS Guide to Powerful Presentations, there was one chapter in particular that really stood out to me, was chapter six. It was the irresistible offer architecture. Explain a little bit about that chapter and what you were talking about. Mikkel, I’m glad you brought that up, here’s why. That example of the Matthews weight loss formula or the Matthews method for weight loss that we were talking about earlier, this is like actually demonstrations. I’ll get to what is is in just a second. What I found is there’s no shortage of people talking about irresistible offers. Mikkel in your walks of life and the books that you’ve read and seminars and the education, your studies. Am I the first guy to ever talk about an irresistible offer? No, it is a phrase that’s throwing around a little bit. That’s right, like how do I make myself different from that? It’s something I truly believe in, it’s something that’s very important. What I did is I actually broke my own rule and I identified nine elements to what makes an irresistible offer. I didn’t just stop there and say, “Listen friends, there are nine things that you must have to have an irresistible offer.” I said, “You know what, I wanna own this. I wanna take this to the next level. I want there to be some curiosity.” What I did was, I went and I got this trademark, so I came up with irresistible offer architecture, I got it trademarked. Now, Mikkel, let me ask you this, when you see the TM or the R with the circle around it or even the C, the copyright with the circle around it, what does that say? What does that communicate to you personally? I would say legitimacy, I guess. Yeah, legitimacy, there’s maybe an element of curiosity. Like, what is this? Importance, right. That’s what I want, I want mind share. If I had said, irresistible offers, people are like, some people that have said it like, “I’ve heard those. What’s new here?” Now when I propose that I have irresistible offer architecture, now it’s like, “Well, what is that? I think I know what it is, but what is this?” In that same way that I said, come up with a Matthews method and go trade market, this is something I want people to think. Whether you have a five step secret sauce to your invention, you have a three step formula for getting people results, you have an investing method. I’m sure there’s no shortage of investing methods that you talk about Mikkel or you have your guest talk about on the show. You want to make it look legitimate. I want on my little soapbox there to really communicate that because that’s gonna give you USP in the marketplace. That’s gonna get people hooked, get them to stop and pay attention. What it actually is, is nine different elements. I say that every great presentation has an offer. Again, whether you’re trying to raise money and you’re seeking donations. If you’re trying to generate a opt in list to build your following, you’re doing that. If you wanna get people to like your Facebook page, every talk, every presentation you do should have an offering. Here’s why, you’ve got to train people to take action. Before you go for the big ask, you’ve got to tell them, “Listen, go like the show. Leave a comment on iTunes for this show. Then hey, go opt in here to get this offer.” You wanna make sure that you tell people what they need to do at the end of a presentation. When you do this, it helps you Mikkel, as you pointed out, it helps you reverse engineer everything. In your presentation, if you know that you’re trying to get people buy a book. If you know you’re trying to get people to go opt in. If you know that you’re trying to get people to donate to your cause, then you reverse engineer the whole presentation. Now you can say, “I don’t know if I should tell this story.” Or, “I should really tell this story because this helps further the cause.” Irresistible offer architecture helps you do that and I’ll give you two real quick because I know we’re running short on time. One of the nine elements is what we call the hot button. Some people buy because they like visual. Let me ask you this Mikkel, what would you consider yourself? When you study stuff, do you find yourself looking at infographics, are you more of an auditory, do you like to read? You might like all of them, but which one would you say you favor more? Personally, I love audio. This is one of the reasons that I chose podcasting as my platform. This is an example, let’s just say we were selling a product. Let’s call it an information product. If we were selling an information product where it’s all text or it was all video, we miss out on one of Mikkel’s hop on. He’s an audio guy, he loves the convenience of it. He wants to do it on his own time, a video. He’s got a kid, so he may not be able to watch the video. Again, people have different reasons for buying. You do yourself a service by taking a look at your product or your offering and saying, “What are all the reasons why someone would wanna take action and how can I incorporate it into the offer. If I were selling a book and I didn’t have an audio with it, Mikkel, I might say, “Listen, the book is great.” He may actually buy the book but he may never actually read it which is not good either, because he needs audio to consume something quicker. I take a look at what we call hot buttons. Then finally, I want you to think about whatever their objections are. If someone doesn’t have enough time, can you put time management system into their program. If they don’t have enough time to read your book on weight loss, can you just sell them the supplement? Think about whatever the objection is that someone would have for not moving forward with you and figure out what can you put into your irresistible offer that will get them to say, “You know what, I don’t really like most of this offer, but I really like this one thing, the call with Mikkel or this financial analysis that he provides.” Think about that when you put together your irresistible offer. As Russell Brunson says, “Knocking down the big domino. If you’re able to identify what those dominoes are, those big things as you said. Then by putting them in the offer itself, you can actually convert more people to the product, is that right? That’s absolutely right. Now, Mikkel, you just said something that made my mind just like a bomb went off in my head, is the point of clarification. When I take a look at an offer, I pretend that if you, my prospect, were out there, you missed my whole presentation. You miss the preamble, you miss the talking, you miss the marketing. All you saw, if all you saw was the irresistible offer on a screen or someone waiting it aloud, would you take action? Now, that’s a tough proposition. You wanna tell the story, you need to build rapport and all that. Again, I think about people being distracted. I think about people being time starved. They don’t get to see all of the message no matter how hard we work on it. If all they saw was the end, do they take action? Do they at least say, “Hey Mikkel, this looks rather interesting, I missed your whole presentation, can you tell me more?” The point here is that you should overcome objections in all of your presentations. You should knock down as many dominoes in all of your presentation and you should do it in the offer. Because if all they saw was your close, would that get them to take action? Wow, I’m floored right now Dustin, because I read the book and I’ve gone through it and I took so many notes. Now speaking to you one on one and you’re articulating some of these points, it’s just unbelievable. I think I’m gonna have to read it a second or a third time, No BS Guide to Powerful Presentations, unbelievable. On that note, do you take courses yourself? Do you read yourself? What kind of things influenced you and helped you to create something like this? I’m a big student, I’m a big reader, consumer of content. My big things right now, I’m very interested in tech. I love crypto stuff that’s going on so I’m studying it, I haven’t dived in yet but I’m studying it. I love tech, I love start-ups. I consume information on my mobile phone, so that’s easy. I think a lot of people do that. Not just like the news of the day that get you to click and 20 minutes have gone by and you’re like, “What did I get out of that?” I look for things that interest me to grow, so that’s one area. The other thing is I’ve got books, so anytime I get a book recommendation, I either add it to my wish list or I just buy it and Amazon ships it. In my home, the office, I’ve got all these books to go through. Now, I generally like to go for business growth books. I love internet marketing as well, I love tech. Also too, I’m cognizant now that I should also be doing personal development. I say that, kind of tugging sheet, because when I first got started, that’s all I did and then I got this ego that came in, Mikkel, if I could be honest with you. I’m like, “I’m developed, I’m good.” What I found in business is as my business started to grow, yes, I was developed and I was able to conquer what I was doing there. Now when it came to now running a team or selling investors on an idea or concept, I had to play the game at a different level. I had to be thinking and I had to develop myself even further. It’s not about just getting from here to there, this is a lifelong journey. Now I’m cognizant and I have books that I say slow me down. I say that with a smile on my face. Because as an entrepreneur, sometimes we just wanna go after, we wanna conquer, we wanna just go, go, go, go, go. Sometimes it’s more powerful to slow down, consider, think about things and then take action. Those are some of the things that I’m in to. That’s amazing. Breakdown for me a little bit, what will 2018 look like? Are you going to be spending a lot of money and time, I suppose, on personal development going forwards this year? Absolutely. Always. You got to be investing in yourself. There’s things that we do such as invest in sponsorships at events. We make those investments and sponsorships, but we’re not there just to try to get customers, we’re there to learn as well. I call that personal development. We joined Masterminds at Speaking Empire, we’re part of business groups. We learned that way. We get newsletters subscription, so the answer is always. I think when you stop investing in yourself, when you stop investing in materials, when you stop reading, I think your world closes. The reason why I say that is yes, you do have some knowledge out there that has made you successful, but the world changes so quickly. Mikkel, I know you talk about that on this show. There’s so many things that are moving so quickly now more than ever that if you’re not up and you’re not continually developing and stumbling upon things, you’re gonna get left behind and the competition is gonna eat you. I agree with that one bit. One of the things I always say is, if you’re not studying and learning daily, that you’re actually putting your family at risk because the economy is changing so quickly today that there will be so many jobs that are going to become redundant in the next five or 10 years. You really need to up your game and level things up. Dustin, I wanna be respectful of your time. Before I let you go, can you just tell me, what’s one of those one big secrets you could share with the audience to get them mooting to take action? Man, that’s a good one. I was gonna say the education, but you hit that and I know that’s your core message, is the education. I would say this, one of my life lessons or one of the things that I’ve been realizing is, sometimes I’m afraid to take action. It’s a tied to ego. This may be a little out there and left field. I know a lot of people can relate with it. What I mean by that is, there’s been times in my life where I’m like, “No, I’m not gonna do that. It’s gonna make me look bad.” Or, “What if I fail at that?” It’s that lack of action that I didn’t go out there. Here’s what I found out, my greatest areas of personal growth has been from crazy, chaotic environments where I didn’t have time to think about that. In my former life or before doing this year at Speaking Empire, I ran 10 product launches. These internet product launches when they were hot and heavy back in the day. Essentially there’s a whole bunch of activity in a two week timeframe, sometimes 10 day timeframe. They’re staying up late at night. There’s no time to drink or eat food. In that, and also in the start-up environment as well, there’s just no time to think about it. You’re testing new things. My big thing here is take one idea or concept here and apply it in your life and just try it when you’re on a phone call with somebody or try it when you’re writing your next piece or try it when the opportunity presents itself. Yes, you may fail at it, it may look stupid. Hey, in 10 years, in five years, in three years, in one year from now, you’re not even gonna remember it. The person that you’re sitting across, they’re not gonna remember it and so, it’s just in that moment. I say that as a lesson to others but really a lesson to myself that, you just got to get out there and take action even if it’s imperfect action and keep figuring it out as you go along. Always moving forward, I love it, that brilliant Dustin. Where can people pick up the book, the No BS Guide to Powerful Presentations? It’s available on Amazon, Barnes and Noble 800 NCERE. Here’s what I want you to do, I want you to go to nobspresentations.com. Go there first, it’s got all the links to those sites on there. I wanna make sure that you get the incentives that we’ve included with the book, because listen, I understand what it’s like. If you’re giving presentations, whether you’re an entrepreneur, you’re in sales, you’re in big corporate, no matter what, we’re all strapped for time. The book is amazing as Mikkel pointed out. Thank you. That’s great, but you also need tools to implement. You can get ideas and immediately execute. If you need to create a presentation, if you need some framework, if you need some email examples of choreography, some follow-up, if you need examples of winning presentations. If you need powerful words that grab people’s attention, go there. Because when you buy the book and you opt in there, you get access to bonuses. Things that we’ve used here at Speaking Empire we’ve used with clients all around the world to help them get people into action, make more money and create more wealth. Fantastic. I’m gonna make sure I put the link to that in the show notes at expatmoneyshow.com. Dustin, wealth of knowledge, unbelievable, I’m absolutely floored right now. Thank you so, so much for you time. I know my listeners are gonna get heaps of value from this. Thank you so much. Absolutely Mikkel, thanks for having me on, I really appreciate it. This episode may be over, but you’re journey to greatness continues by visiting our webpage and signing up for our newsletter.  For convenient access to new episodes, show knows and other crucial resources, visit expatmoneyshow.com. We look forward to you joining us on the next episode of the Expat Money Show. Safe travels. Pretty great post. I just stumbled upon your weblog and wanted to say that I have really loved browsing your weblog posts. After all I will be subscribing for your RSS feed and I hope you write again soon!